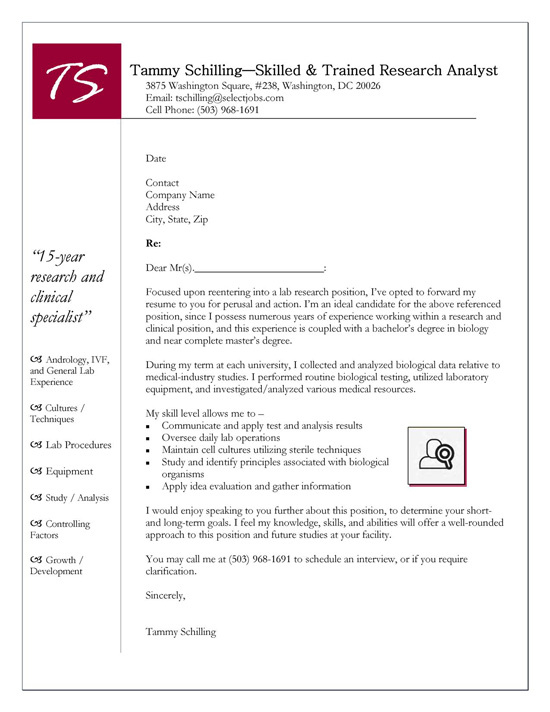 This is a cover letter example for a professional with job experience as a Lab Research Analyst and Clinical Specialist. 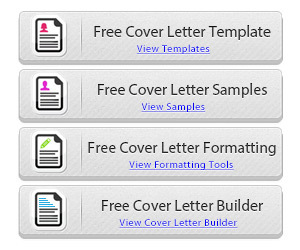 The cover letter can be an appropriate sample for a variety of job seekers from market research to academic or scientific fields. 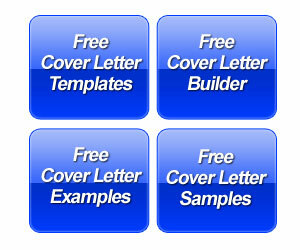 This an example of a targeted cover letter. The document is responding to a specific lab research job position. The writer opens the cover letter by explaining their interest in the job and documenting years of experience in research and clinical positions with a bachelor’s degree in biology. The writer goes on to explain details about their data collection, testing, analysis and laboratory expertise. 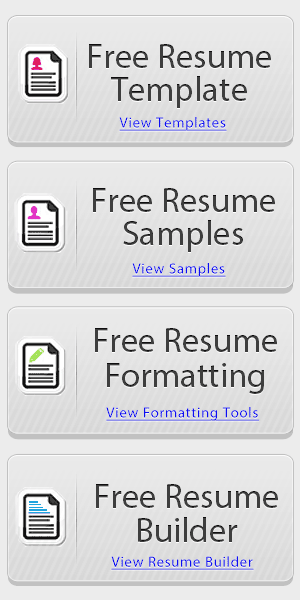 The job seeker breaks down a few bullet points to quickly identify key skills such as communications, oversight, techniques, studies and evaluation. The last paragraph invites the employer to speak about the position while restating their belief that their experience matches the job requirements. To make it even easier for the reader, the job seeker includes their phone number and requests a call to set up an interview. The professional in research has a job that can be difficult to glorify. Often times in research you are doing the grunt work and someone else gets to apply your research to a finished product. Performed critical role as team member for business marketing research that resulted in process modifications that saves sales department over $2 million in material expenses. The cover letter needs to show your role in the company and include a few statements that prove you can be an asset to your next employer.